The month of March marks Women’s History Month and provides us with an opportunity to honor the many women who have who have fought for social and economic justice in the workplace. From Mary Harris “Mother” Jones, the “grandmother of all agitators,” to Frances Perkins, the first woman to serve in the U.S. Cabinet as Secretary of Labor, to Dolores Huerta, co-founder of the National Farm Workers Association, to Addie Wyatt, the first African-American woman elected international vice president of a major labor union, to the brave women of the Organization United for Respect at Walmart (OUR Walmart), women in the labor movement have defied convention and taken the lead in fighting for workers’ rights. 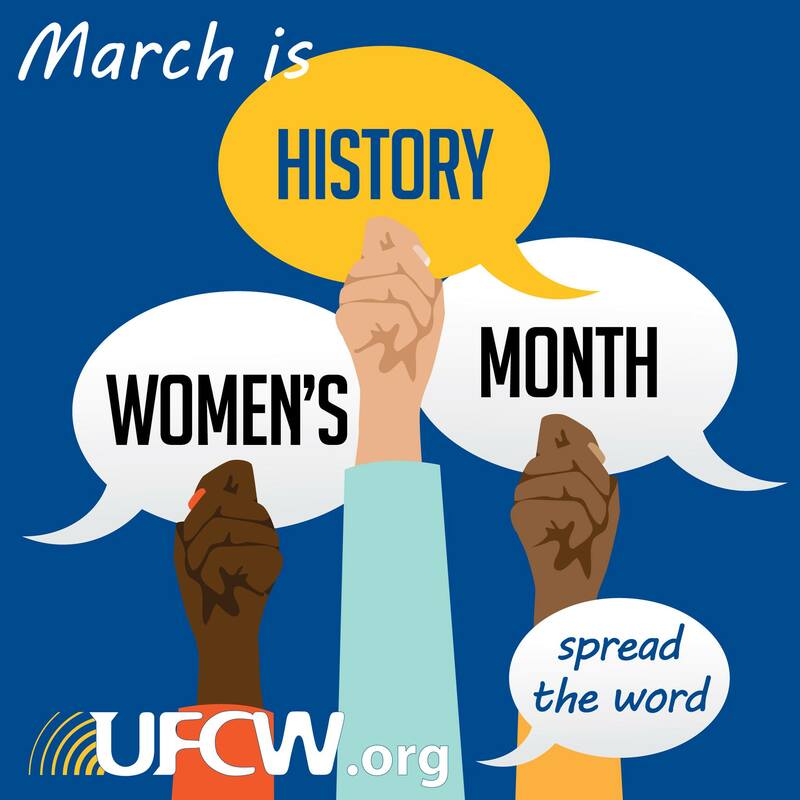 Throughout out the month of March, the UFCW will the highlight the lives of these remarkable women who fought for fair wages, dignity in the workplace and the freedom to organize in spite of considerable barriers, and honor their significant contributions to the labor movement.